It sounds crazy because it is. The plan for the team of seven was to cross the entire main Alpine ridge from Vienna in the far east to Nice at the opposing Western end in less than 40 days. Inspired by the first successful crossing of the route in 1971, by four Austrian athletes, the name of the project said it all: Der Lange Weg, The Long Way. Along the 2000 km route lay in wait some of Europe's fiercest peaks: from Grossglockner in Austria, to the Dufourspitze in Switzerland, all the way to the Mont Blanc in France, over 90.000m of vertical gain stood between the mountaineers and their final destination. We sat down with two members of the team, Philipp Reiter and David Wallmann, to hear about their experience. “After only a few days, with an average activity time of 10+ hours in which we were exposed to the elements, it became clear to us: we were not just eating everything, but as much as possible of everything. Particularly popular were a mixture of Nutella and peanut butter, served on bananas. Who needs bread anyway?” laughs Philipp. “It was a journey of extremes, including the weather. We had either bluebird days or the exact opposite: barely any visibility and the alpinists nightmare: white-out in which the entire environment becomes a mass of contourless white and orientation is virtually impossible. That becomes a problem quickly when you try to navigate across a glacier full of crevices,” says David. “Particularly noteworthy was stage 10 on the Grossglockner- with summit success - and stage 29 towards the end with the attempt to beat the Mont Blanc. Unfortunately, the summit success was denied due to the weather. According to our Strava upload we only missed 120 meters in altitude,” says Philipp. Anyone who approaches such a project and spends so much time with someone else comes to the same conclusion: it is simply impossible to hide. It is like being married to six strangers for over a month. “I had to go to bed with this very sight every day, only to wake up to it again hours later. We both had the luck to know each other well before the trip. If anything, this adventure has had a positive effect on our friendship," says Philipp. “In the last third of the journey the temperatures had risen so high that we could only move on snow until lunchtime, before the avalanche risk became too high. As a consequence, we moved our rhythm forward almost 6 hours and started to get up at 2 am to get going," recounts David. “One day, due to the avalanche situation, we had to tactically change our pre-set route [shown below]. Which led to a small detour. We had to pay the price of 50 kilometers hiking on asphalt for this "little detour". But can 'moving on asphalt in a ski boot' actually be called 'hiking'? ... it was one of my hardest days," said David. “We received support both from the people along the route, but of course also via media, including from our fans on Strava. One afternoon David scored a huge piece of apple strudel with free coffee at the Rifugio E. Margaroli for a selfie with the landlord. There was no red carpet, but we did feel like superstars at times," says Philipp. “Not only were we able to break this long standing record, but also share a truly mind blowing experience. We came home not just rich in experience, but also added some lifetime friendships. And then that feeling of getting out of the ski boot and stepping directly into the Mediterranean at the end of the journey was unique to all of us," says Philipp. On a side note: David got back in the car on the day of the arrival in Nice and stood back in the classroom in front of his curious students to teach them some Math and Geography the next day. No wonder he was setting the pace so eagerly along the 36 day journey! 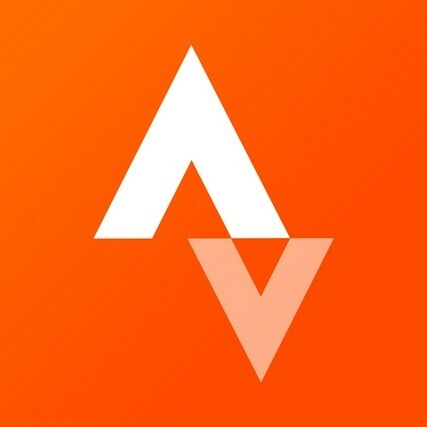 Follow David and Philipp on Strava.